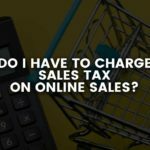 Why does my business need video marketing? It is no secret that video marketing has become one of the most engaging and effective forms of marketing ON THE PLANET! That may sound a bit excessive but can you think of another channel that explains your business, product or process with more clarity? Look on any social platform, a majority of websites, and even in the google search, and you will see videos popping up. 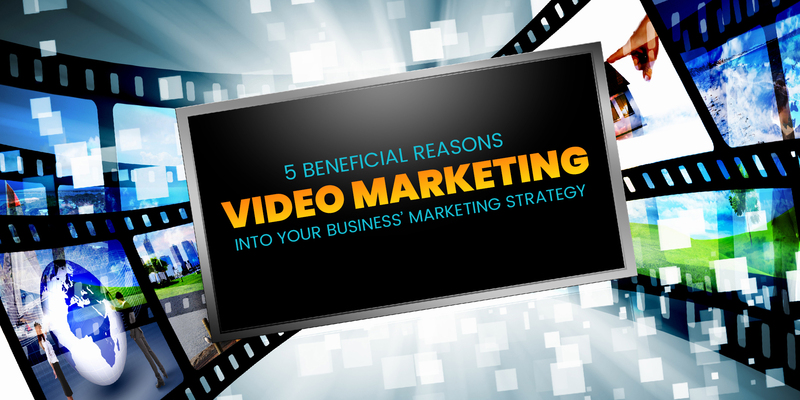 We’ve put together a list of 5 beneficial reasons to Incorporate Video Marketing into Your Business’ Marketing Strategy. 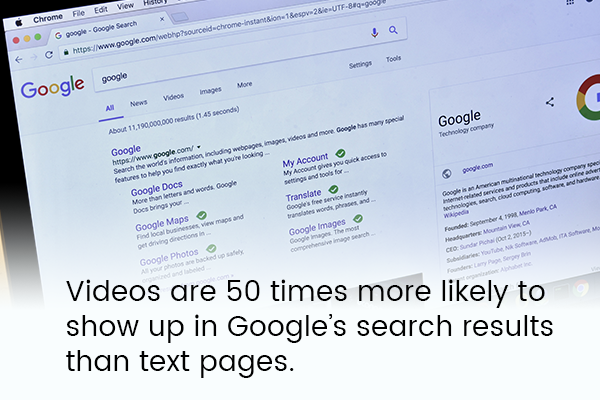 Research shows that a majority of videos are 50 times more likely to show up in Google’s search results than text pages. Something we are doing with our video department more and more at Crosby Interactive is trying to include video on as many pages as possible, especially the FAQ’s. If your potential customer doesn’t know a lot about your service or product, chances are they will likely be searching for a question. For example, ‘How does lotion help with dry skin?’ If you have a video addressing this, you will have the potential to answer their question on Google or YouTube. With YouTube being the second largest search engine, just behind Google, you are increasing the odds of organic customer acquisition quite a bit. 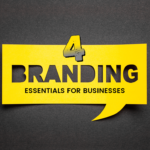 A large part of a potential customer purchasing your services or product is by swaying their emotions. A well thought out video can do just that. Imagine the difference from your consumers’ eyes. Reading about a service they need is just so one-dimensional and bland. However, visually seeing someone spilling red wine all over the carpet and an amazing product getting your carpet back to perfection is the evidence that can really WOW! With cell phones in hand and instantly gratifying social media platforms getting more attention, it is getting more difficult to retain a person’s attention. People are reading less and watching more. This is where a well thought out intro to a video comes into play. Our theory is, you should always have a hook within the first 15 seconds that makes a consumer think, “Hey, I need to see what these guys are talking about!” If this is implemented correctly, your retention is very likely to increase. ROI is king! 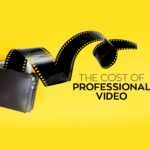 Due to the variations of routes a director can go with a video, it is always hard to gauge an exact percentage or stat on the overall potential of increased ROI. However, there are many tools to gauge the ROI of a specific campaign using your video. If you are not currently doing any video marketing, I’d like to welcome you to the land of endless opportunity. The great thing about video is if you can dream it a seasoned professional can create it. A high-quality, well-directed video can set you apart from your competitors. This is your chance to take your image to the next level. Building an image that makes you look top notch lets your customers feel comfortable with your business, it lets them know you are a top notch company and, most importantly if you don’t invest in yourself and your business then why should a potential client open up their pocketbook and do the same? Creating a visual that will present yourself as a reputable company is priceless.